I found this book to be fascinating. I love how Joe relates not only his own personal life into this book, but also different aspects of ministry into this book as well, chichis makes this book such a sweet treat. I love that his ministry doesn't convert Amish people to become Englishers, but allows them the choice to do so if they want too. And, if they want to, then they can by getting a drivers license, a job and going back to school. I love how this book incorporates different aspects of Amish living as opposed to non-amish living. 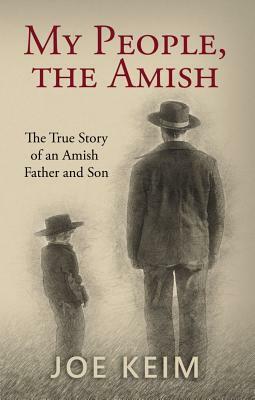 This book is very educational and will expand your understanding/ working knowledge of the Amish culture. It will help you gain a different perspective you didn't know before. I found this book to be insightful and inspirational. I give this book a 4.5/5 stars. Thank you to the publishers for providing me a complimentary copy. A favorable review was not required.